Best friends at Unleashed: Her boyfriend, Grover, and the Shelby Dog Park crew! 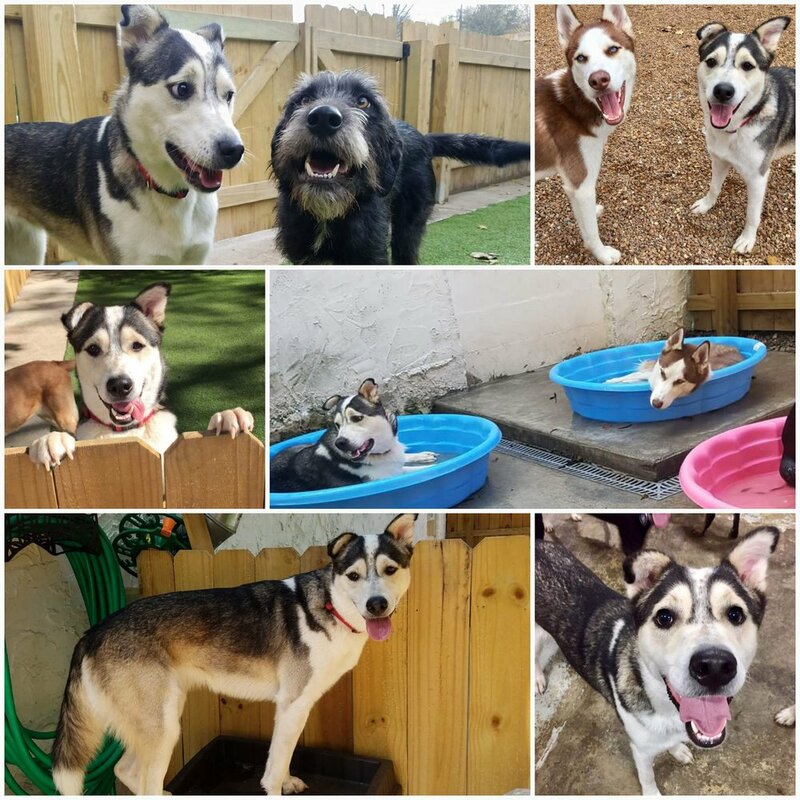 Daycare personality: With her big, bright smile, Ruby always brings a fun energy to Unleashed. From the moment she comes bounding downstairs until it's time to go home, she's always in the thick of things - wrestling, chasing, poking around every nook and cranny, jumping up on every flat surface. You never have to wonder where Ruby is: she's the social butterfly in the middle of the crowd! What we love most about her: Her mischievous grin! Daycare personality: Hazel is not a morning pup. Rarely does she bound straight into the middle of the group to start playing the moment she arrives; she prefers to lounge on the deck or ramp for an hour or so before she thinks about joining the fray. Even then, Hazel tends to be selective about her play companions. One-on-one wrestling with Lily or Benny is her jam, and she'll even horse around with us humans if her pals are resting. From time to time, though, she gets revved up enough to get a bigger crowd chasing her in figure-8s along the sidewalks, and it's always fun to watch. Whatever she's up to and whatever mood she's in, Hazel brings a positive vibe to the group! What we love most about her: Her hugs and her playful demeanor! Walk personality: Lorna is a very polite walker who loves taking in the new smells around her neighborhood. She likes exploring new routes, but definitely has her favorite spots that she has to check out when we're out. And she's always on the lookout for squirrels! What we love most about her: Lorna is the sweetest pup you could ask for. Only the rain deters her from enjoying her time outside, and she's always game for a cuddle session after her walk. Daycare personality: Wally is the life of the party as soon as he arrives at Unleashed. His boundless energy is usually spent getting the rest of the crowd chasing him, but he also loves to wrestle, especially with his friend Lucy. He's a quick and scrappy pup - not many could catch him, and he's not one to back down from rough play. His breaks from the action are brief and rare, but it's always a nice surprise when he nuzzles up to get some belly rubs. What we love most about him: Those piercing yellow eyes and the way he can suddenly appear at your side, leaning into your leg for some love. Daycare personality: Hawk is always a joy to have in the mix at daycare. She loves to wrestle and chase other dogs and enjoys being part of the action, but she also knows when she's had enough of the hubbub. She can happily amuse herself by watching birds overhead, stalking beetles and butterflies, waiting for you to pull out your phone so she can chase the light reflecting off the screen onto the ground, or simply taking a snooze next to one of her buddies. What we love most about her: The intensity that she brings to everything she does, her spontaneous howls and wiggling greetings, and of course, that awesome mohawk! Park personality: Moose lives to chase tennis balls and can be a little aloof from the other dogs when he's in the zone. But, given the right crew of friends, Moose will come out of his shell and get rowdy, from wrestling with Hailey to tug-of-war with Moof. 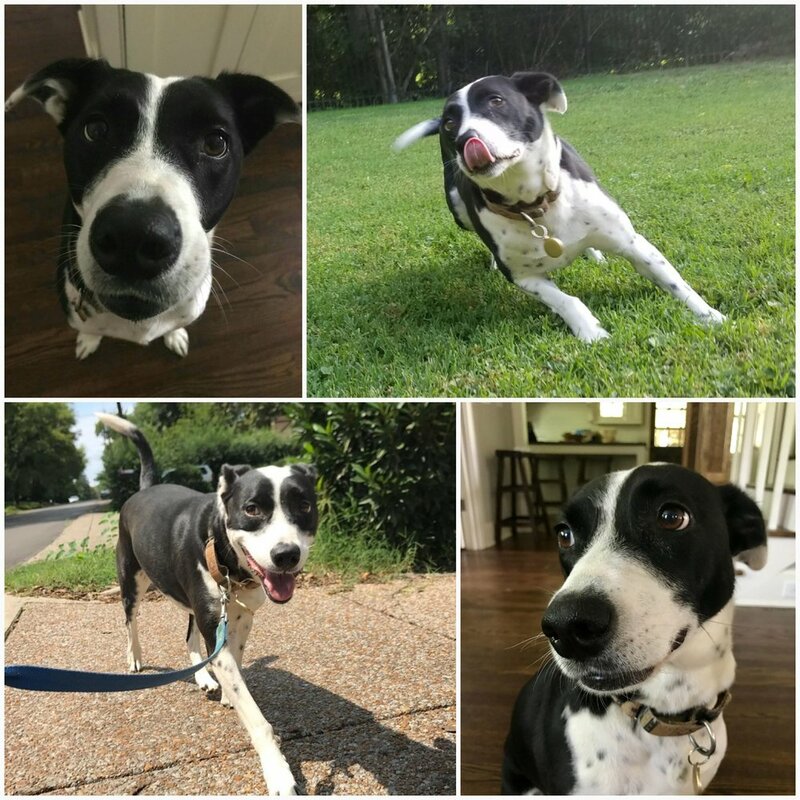 What we love about him: From his intense yet loveable personality to his jauntily off-kilter ears, Moose is one-of-a-kind, and we wouldn't have him any other way! Favorite toys: They love to steal each other's toys, so whatever Ruby has is Willow's favorite, and vice versa! 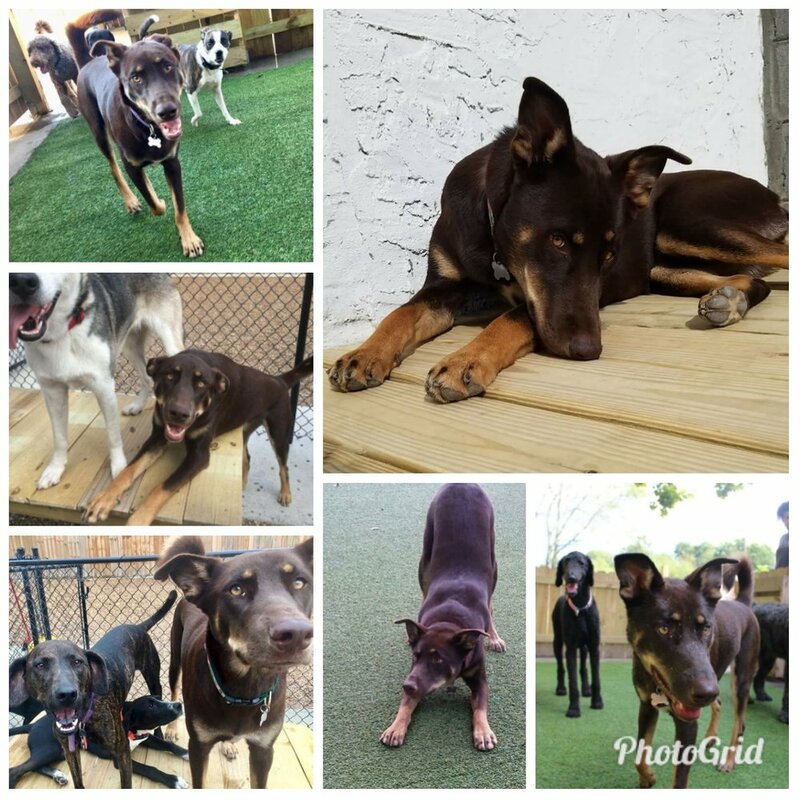 Daycare personalities: Ruby is always on the go and over-the-top - if she's not in the thick of a wrestling match with a few other dogs, she's giving very intense love and affection to the nearest human. Willow tends to keep to herself a little more and has a more subdued energy level (compared to her sister, at least!). She can play-fight with the rowdiest pups when she wants to, but after five or ten minutes going hard, she's ready to find a quiet corner - or a lap - for a snooze. What we love about them: Ruby and Willow are the life of the party everywhere they go, and it would be hard to find a sweeter pair of pups!